Try Three Free Sample Searches for Fulltilt Poker Players Every Day! Click HERE to buy unlimitled searches. 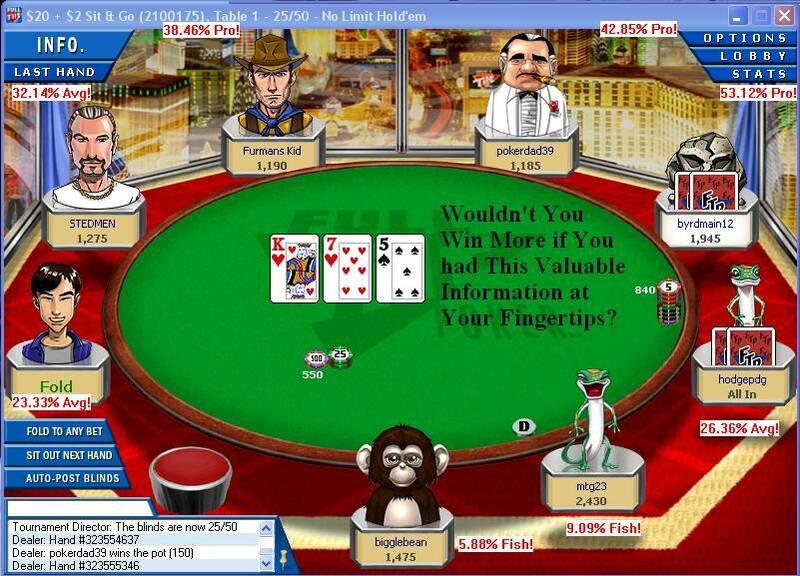 You will also get StatsForPoker application which automatically gets the stats for the players you're playing with. It then displays this info next to their FullTilt avatars. Here's an example of how you can use this - if you know you're playing against a bad player who basically plays to lose, and he goes all-in, you will increase your chances of winning significantly. One click is all it takes to get all the players' info.